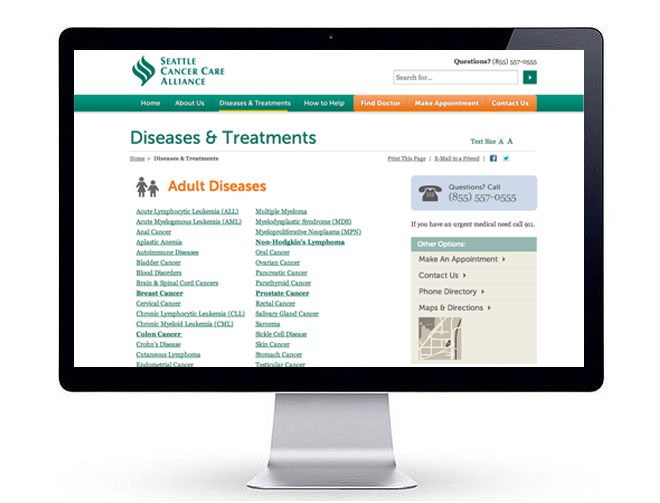 Mission: Raise visibility for Seattle's leading coalition of cancer care providers while focusing on usability and how visitors are finding and connecting with the content they seek. Key Insight: In the current health care taxonomy of Internet search engines, medical care providers face an obvious quandary. They will always rank second to the disease itself as far as academic and research URLs for the disease as a search term are concerned. Hospitals and M.D. 's will also rank behind the various national associations that address these causes. Therefore, search engine positioning is key, and the social media opportunities for health care institutions to differentiate who they are can be tracked through important listening posts. 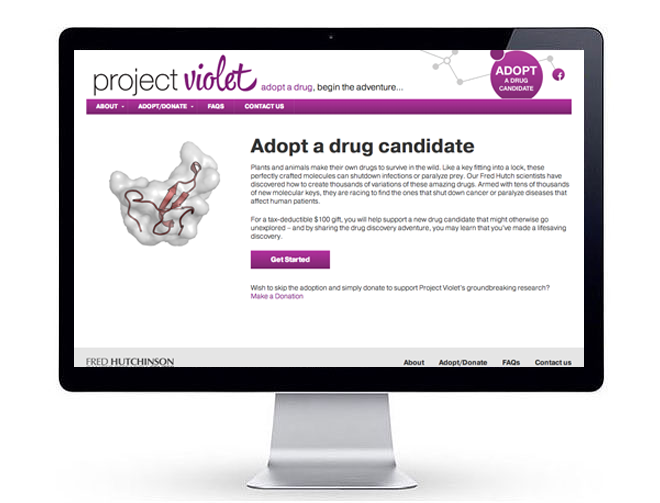 Wondering how a medical research project can engage socially with the public? 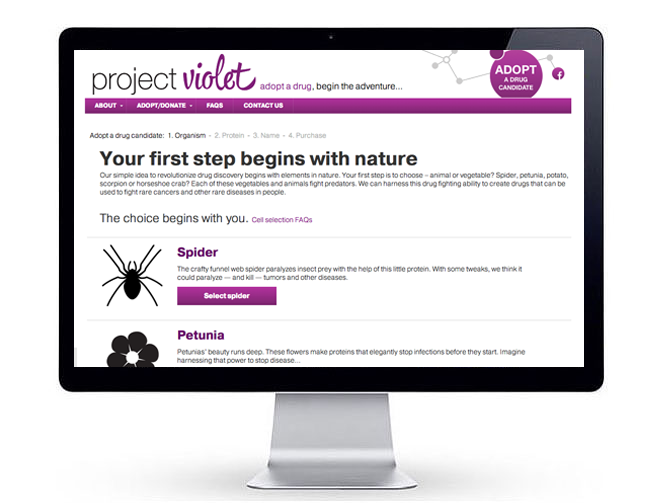 A sterling example is Project Violet, which invites the public to sponsor naturopathic drug development for as little as a $100 donation and the chance to have the cure assigned their family name. Hospitals also have the opportunities to partner with medical publishers and connect with patients earlier in the prevention and early-care stage.